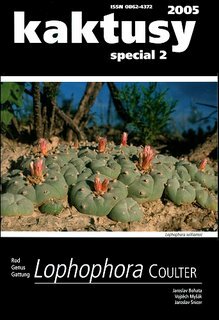 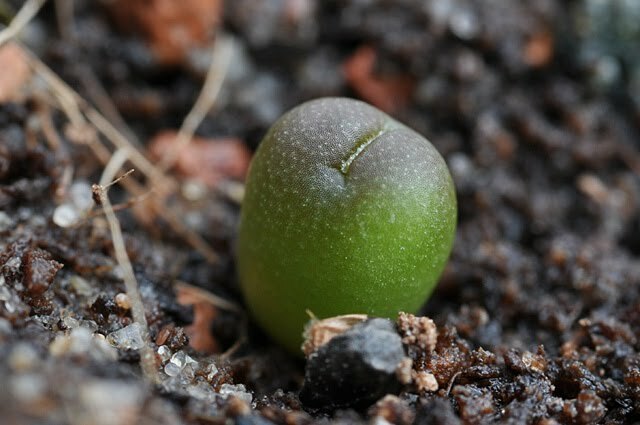 As mentioned in the Blossfeldia liliputana post Sebastián Santecchia from Salta, Argentina has been kind enough to let me post some of his wonderful habitat pictures. 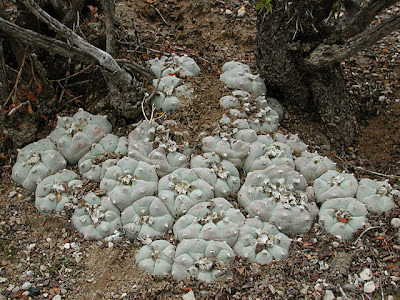 The following Yavia cryptocarpa photos are all courtesy of Sebastián. 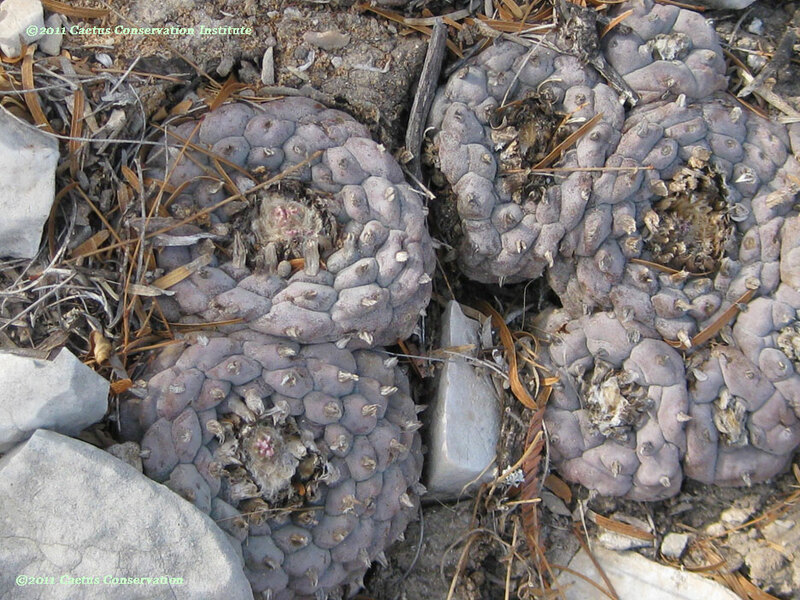 The genus and species Yavia cryptocarpa was described from Argentina by Kiesling and Piltz in 2001. 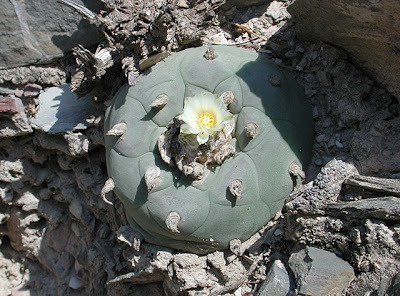 Yavia is only known from a small area just on the Argentinian side of the border with Bolivia, in the province of Jujuy, near La Quiaca, at 3,700m. 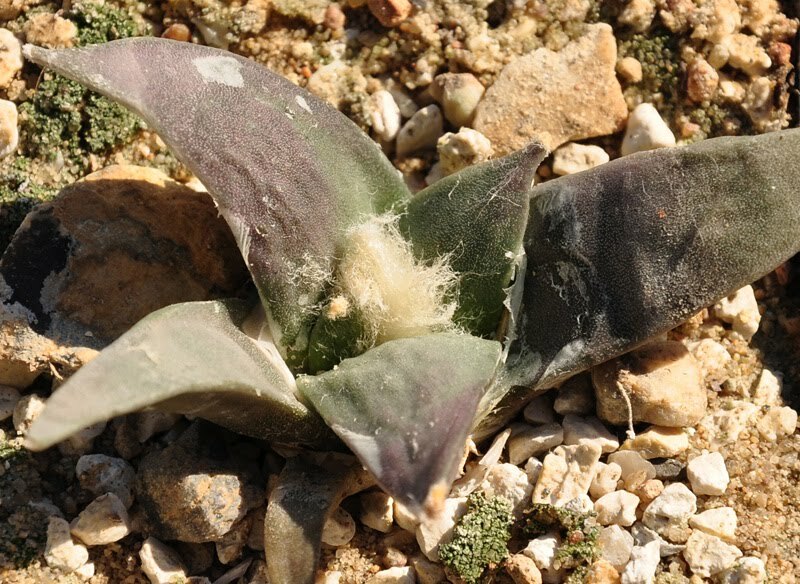 Although the species probably has a wider distribution, its small size plus the strongly camouflaged aspect make it difficult to know its distribution with any degree of confidence. 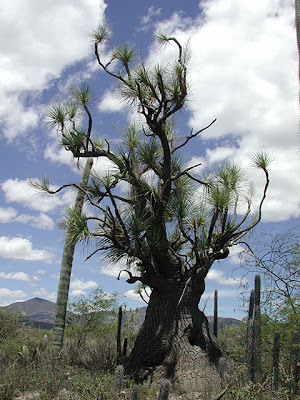 As is evident from the above photo, a fully hydrated Yavia is very exposed to the sun. 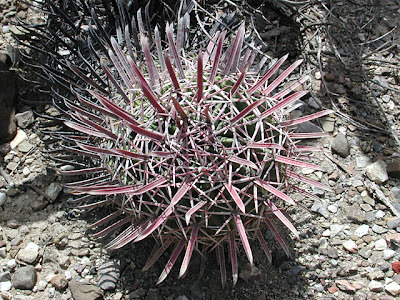 As the plant dehydrates the small spines “lock up” to form an armor that helps protect the plant from the sun. 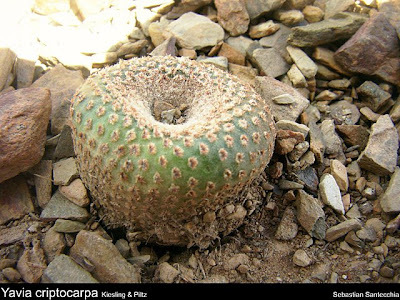 The genus is named after the Department of Yavi, Argentina and the specific name cryptocarpa refers to the plant being a cryptocarp, i.e. 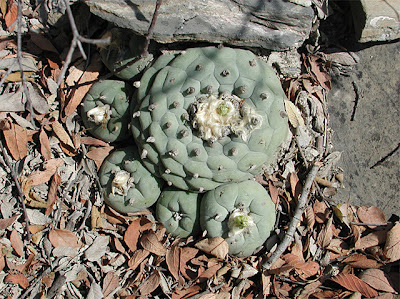 bearing fruits that are retained concealed inside the stem of the plant, only becoming visible when the plant shrinks in the drought period. 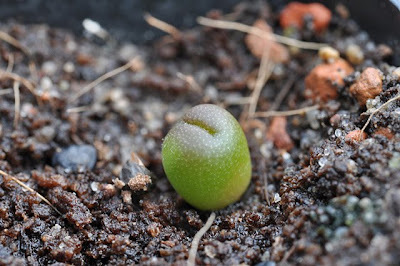 You can find more of Sebastián's Yavia photos here and view all his pictures of cactuses in habitat (Bolivia and northern Argentina) at the SagtaCactus flickr photostream. 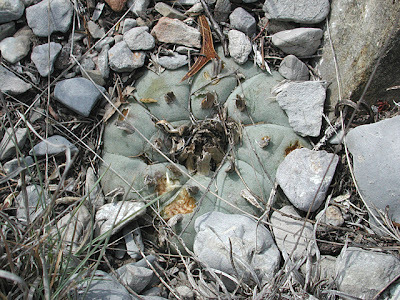 Roberto Kiesling & Jörg Piltz, Yavia cryptocarpa R. Kiesling & Piltz, gen. & sp. 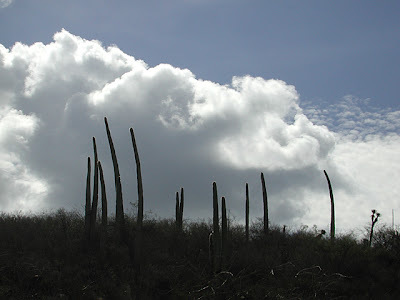 nov. Kakteen und andere Sukkulenten 52 (3): 57-63, 2001. 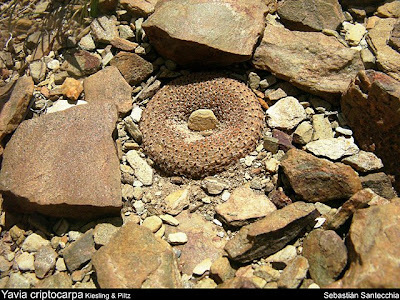 Sebastián Santecchia from Salta, Argentina has generously allowed me to post some of his amazing habitat photos. I was immediately taken with the beauty of the above picture – it almost seems surreal seeing a Blossfeldia liliputana in such a lush green environment. 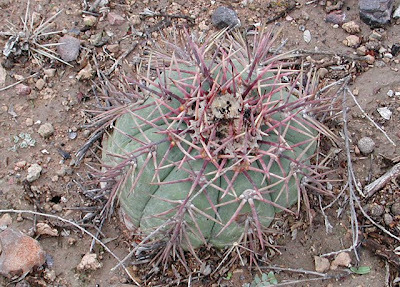 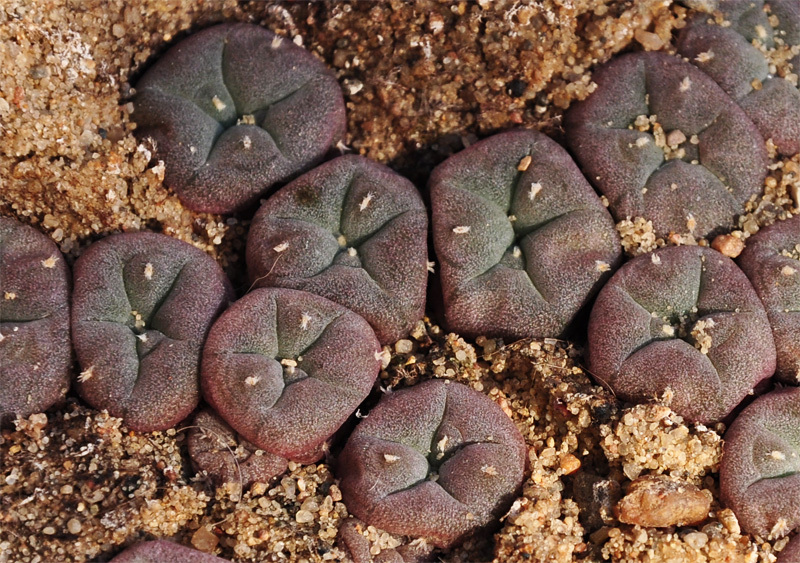 According to Sebastián the individual stems of the Tupiza plants grow to a maximum size of 2 cm in diameter – a fairly large size for this species. 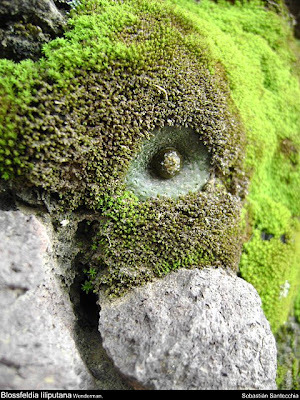 The plants grow in rock crevices, usually associated with mosses. 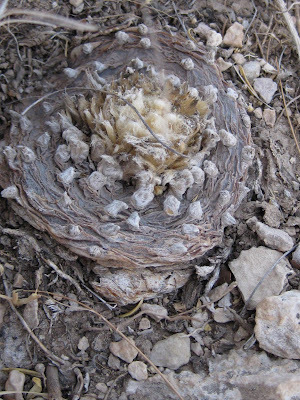 The habitat of Blossfeldia is severe and plants are subjected to extreme desiccation. 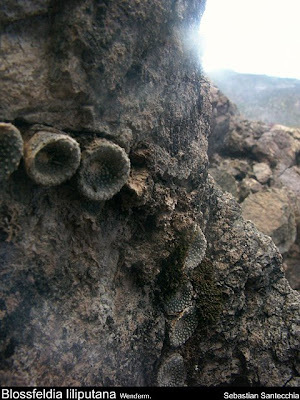 In contrast to most other cactus species Blossfeldia has no thickened cuticle (thickened outer cell wall) but instead appears to be poikilohydric, meaning the plants can endure severe drying out, like many mosses and lichens (see this link for a more detailed explanation of what being poikilohydric means). Another interesting feature of Blossfeldia is that the plants virtually lack stomata, their being restricted to the areolar pits. According to Ted Anderson, Blossfeldia probably has the lowest number of stomata per unit of surface area of any photosynthesizing plant. 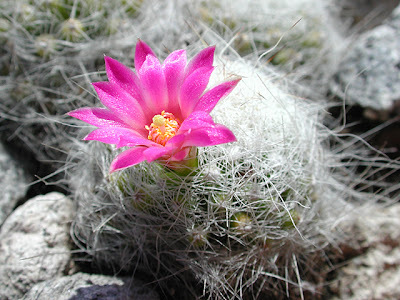 The flowers of Blossfeldia liliputana are capable of self-pollination. 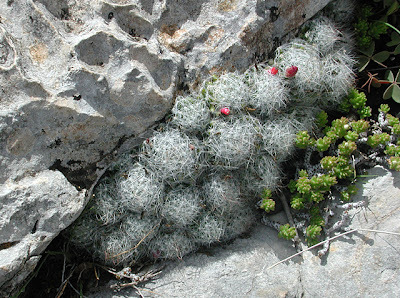 The photo above shows a plant at the beginning of flowering in early spring. 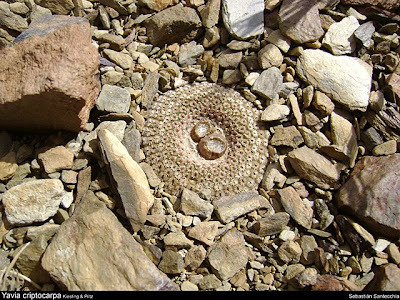 Blossfeldia liliputana is fairly common and widespread, occurring over a north-south range of more than 1200 km, primarily on the eastern side of the Andes in southern Bolivia and northern and northwestern Argentina at elevations of 1200-3500m. Several species of Blossfeldia have been described but most botanists agree that there is but one species (given the extent of its habitat the plants are bound to show some variation). 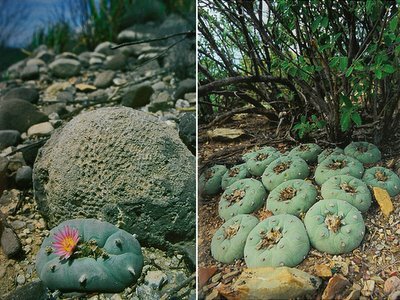 You can find more of Sebastián's Blossfeldia photos here and view all his pictures of cactuses in habitat (Bolivia and northern Argentina) at the SagtaCactus flickr photostream.